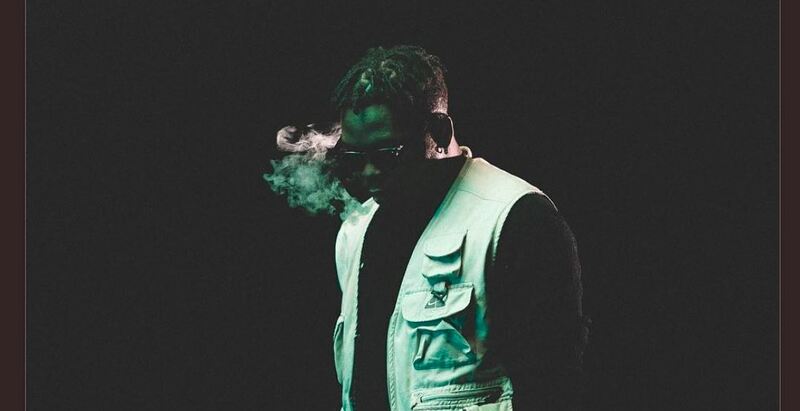 Olamide’s knack for scouting potential street superstars has become an on-going conversation. Last week, he signed on Picazo and Yomi Blaze, after viral videos of both rappers delivering witty wordplay trended across social media. For Picazo and Yomi Blaze who went from freestyling to instagraming studio sessions with Baddo in the cut, this is an opportunity of a lifetime. As a firebrand for localised hip-hop, Olamide has since dictated what sounds the street will accept and pushed the limits successively from “Durosoke” to “Wo”. This portfolio has made the YBNL boss somewhat instrumental to the success of several artists whose target audience are Yoruba since he’s the go-to guy for young talents trying to start their careers. In the last three years, YBNL has served as a launchpad for the career of artists like Lil Kesh and Adekunle Gold, whose careers have become excellent markers for genre-evolution and artistic dedication, making Olamide’s YBNL one of the most understated but successful music businesses in Nigeria today. Olamide runs his label by offering artists a seemingly straight-forward contract. Artists signed are given a 2-year runway to attempt a shot at fame, using YBNL as a springboard to record and promote their music until the contract ends. Technically, it sounds like a great deal that doesn’t attempt to force artists to over-compromise their career or future while affiliating with a strong brand, but it doesn’t do much for distribution or marketing. A recently published expository blog-post by Lil Kesh’s former manager, Wale Applause, details how he made Lil Kesh into a star almost independently despite YBNL’s overarching management. Granted, the overall tone of Wale Applause’s article was sober and somewhat aggrieved, his side of the story offered a rare glimpse into the little-discussed business side of making an artists’ career. From Wale Applause’s experience, the most recurring problems he had to solve as a manager involved extensive legwork and industry backdoor hacks, and going the extra mile against odds of low wage compensation and little credit. In the article, Wale Applause claims to have personally hand-delivered Lil Kesh’s music to DJs and radio stations across the country, name-dropping DJ Spinall, Osi and Olisa of Beat FM—three names he staunchly advises artists to avoid because; they “will collect your money and not play the song.” Applause also gave nuggets on dealing with marketers and DJs in Alaba market, West Africa’s music piracy capital. He also added how he doctored Lil Kesh’s streaming numbers on YouTube and Soundcloud using Asia-based services that manipulate counts. “He must have thought his song got that big. Shior.” , Wale Applause wrote, ribbing at Lil Kesh’s overblown ego in the years that followed his initial success. Though Wale Applause does his best to keep Olamide’s name out of the mud, he couldn’t resist calling out the hypocrisy of Olamide’s rant at the Headies. For context, Applause’ own job loss came as a result of what YBNL’s upper management deemed as an emotional outburst on social media after MAVINS starlet Reekado Banks was confirmed as the Next Rated artist over Lil Kesh. Nonetheless, going by Olamide’s latest single, “Bugle”, it’s clear the YBNL boss did not find Wale Applause’s tell-all amusing. Ton Fi Ara Won Sey Esin”. “Bugle” is filled with righteous indignation and riotous energy and Olamide vindicating himself from the recent dip in Lil Kesh’s career; “Everything is Alright Until When I Left”. From someone like Olamide, it may appear irresponsible, seeing as the success of Lil Kesh’s career was tied to YBNL just a couple of months ago. But perhaps, it’s indicative of how the decentralized management that typified his contract with Lil Kesh and perhaps other artists under his label, left them at the mercy of an industry where all palms must be greased. Olamide may not exactly be a schemer, exploiting the hopes and dreams of young talents for his own profit. In fact, it’s discernible from his recent Instagram rant, threatening to expose labels practising what he described as 21st-century slavery, that Olamide is fully anti-corporation. But the brief duration and limited infrastructural support that characterise YBNL contracts, may spell more doom than a blessing for unassuming artists who think a YBNL contract is their gateway to fame and fortune. YBNL has served the role of a voice for a genre that wouldn’t be recognised today otherwise but the label can still not be held accountable for the careers of these artists who look up to a label head like Olamide. Adding Yomi Blaze and Picazo to the already promising duo of Davolee and Limerick who joined YBNL last year, (and Lyta Olamide’s Nigerian Justin Beiber project), it’s safe to say the future of street hip-hop is effectively in Olamide’s hands. But without any real guidance from the label boss, the temptation to use shortcuts like Lil Kesh did—buying YouTube views—may cause them to neglect important craft building experiences. Now that the soundscape is becoming oversaturated, two years of investment in an artist’s career may not be really long enough to expect any meaningful returns on the investment. And if your investor is like Olamide who wants to recoup his investments quickly then jump ship, all artists will get, is just a cash handout and a cosign. The hype is nice for sure, but it takes more than that to sustain a career, just ask Viktoh. While everyone has praised Baddo’s knack for supporting young talents, his prolific rap performance on “Bugle” suggests that Olamide is still forever batter-ready, even if its to clarify shrouded details about his young padawans. His comical vocal style over the hip-hop beat is reminiscent of his origins as a rapper, delivering playful bars and taking shots at other rappers after years of being the model humble rapper from the streets, lending a helping hand to everyone. Being a big brother may be paramount to retaining his place in the game, but business is business as far as YBNL is concerned.